The owner of a business targeted by hate-filled graffiti said he would soon have a CCTV cameras in place. Both Empire Grocery and Northshore Medical and Aesthetics Center [NMAC] had offensive messages scrawled across their walls. Both businesses are a stone’s throw away from each other on North Shore Road. 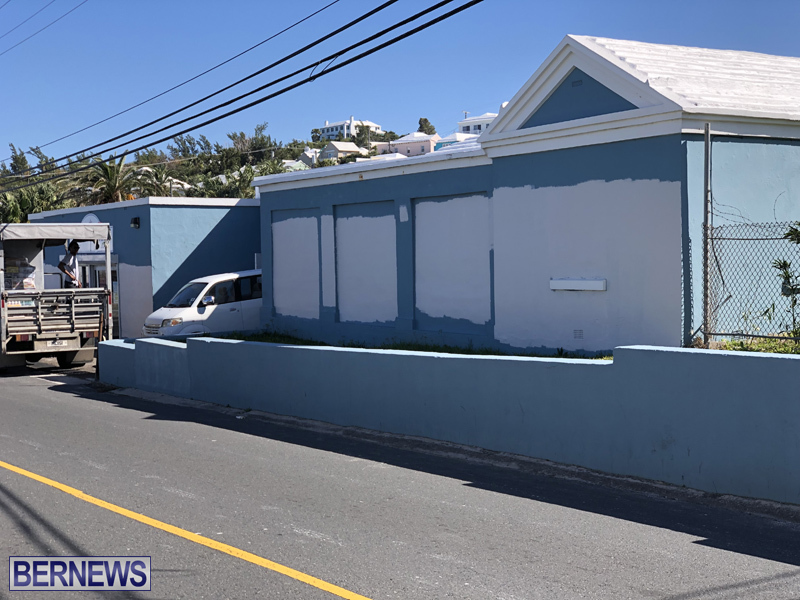 Dr Brown said he noticed the graffiti around 8:30am and called the Bermuda Police Service. Saying he was “completely annoyed,” Dr Brown explained that they painted over the words as soon as the police had finished their crime scene investigation. “We had to because it was very offensive to women. I don’t want to repeat what was said, but it was terrible,” he said. He added they already had plans to put in CCTV cameras part of the building’s renovation, but this incident has sped up the process. The incidents follow other recent similar hate-filled messages painted on the Bernard Park netball courts and the underpass on Palmetto Road near Glebe Road. 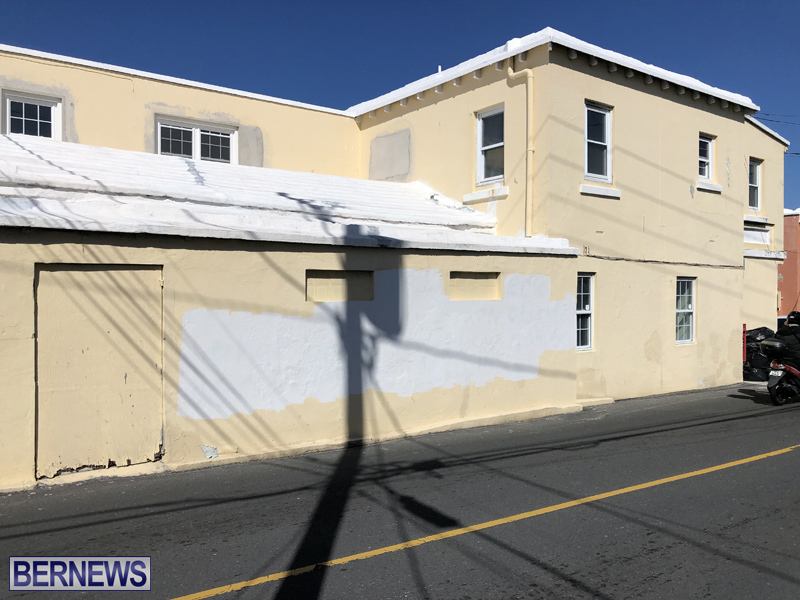 Earlier today, a police spokesperson said, “Around 6:30am today [February 13th] police officers responded to a report of willful damage on North Shore Road in Devonshire. “On arrival officers observed offensive graffiti spray painted on the outside of Empire Grocery. Police officers also responded to a report of graffiti at Northshore Medical around 8:30am Wednesday. “The graffiti was documented and reassurance provided to the staff of both businesses. There’s a troubled individual in that area, The netball court graffiti, these two cases of graffiti as well as the graffiti that keeps popping up under the bridge on Palmetto Road. Isn’t there public CCTV camera n place on the street light poles so that footage from each of the given locations can be cross-referenced to narrow the search in identifying & persecuting (Make sure there is a public name & shame, a hefty fine, as well as a fitting public service, be part of the sentence) this individual? We will NOT accept hate crimes in this country. Jail! I agree, how far back do you want to go before anyone is exonerated. You do know we have a colorful History in Bermuda. Someone had to see this being done. Please come forward come forward so the culprit can be dealt with. This is a symptom and a wake up call for a society that has allowed common decency and respect for ALL people to be subjugated for personal, philosophical and political means. We are reaping what we sowed. Hopefully this affected person can get the helped that is needed. No doubt the perpetrator is totally confused as to why the PLP are saying they condemn what they did. By any means necessary has had some seriously negative consequences. The hate is like a tap that can’t be turned off now. Read the PLP response. They never actually ‘condemned’ the message, just the manner in which it was conveyed.